Looking to upgrade your desktop hard drive and enhance your everyday performance? 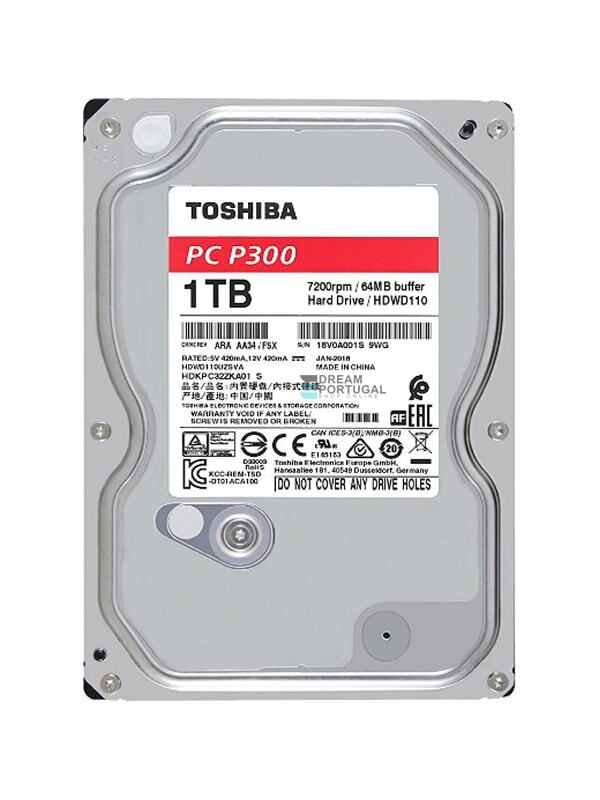 The Toshiba P300 Series 3.5” internal hard drive offers the storage capacity you need and the performance you demand. No matter what brand of desktop PC you’re using, this reliable hard drive can take your performance and productivity to a whole new level. This drive combines Toshiba’s time-tested hard drive technology with the right balance of performance, capacity and long-term dependability, making it an excellent choice for your everyday computing needs. 7,200 RPM speed with 64MB data buffer deliver improved performance for your aging computers. Supports SATA 3.0 interface with up to 6 Gbit/sec transfer rate. Wide capacity range up to 3TB1 for your storage needs.